I like to read and write and save stray animals! Wed Oct 30, 2013 9:16 PM in How do you take science home? I loved Tried and True: Solar System in the Hallway so much! I really enjoyed this source because it helps bring a very hard to understand concept (The scale and movement of the Solar System) into a more concrete and easier to understand mode of comprehension. I loved that this activity was hands-on and reminded me of a activity I did using toilet paper to demonstrate the scale of the distance between the planets. 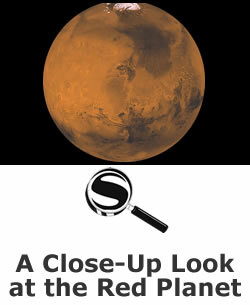 I really enjoyed A close-Up Look at the Red Planet because it was very informative and gave resources for both students and teachers. I really like the way this source has information for students to work on their own and gain information and at the same time helps teachers to implement the information into lessons. I feel that resources should be able to do both to be beneficial. This collection was made in hopes to become a collecion of resources used to teach about the cycle of trash and how we as humans can affect that cycle to make the output more beneficial to our enviroment.